No, you only submit an application if your character is a relative/family member and member of nobility. Not if you're an employee, since that doesn't make you, yourself, a Noble. ...Alright. We've been getting a lot of feedback, among other things, about this so far (not just in this thread), and people seem to be getting a little too antsy. First off, I'll ask anyone who's very worked up about this (I am calling no names and pointing no fingers; if you're extremely upset about this, then you know it) to please take a step back and reevaluate. Everyone who's posted in this thread has been calm and rational, and we appreciate that. I just want to set out a reminder for everyone reading this; it's a discussion and feedback thread as much as it is an announcement; we are willing to change things if we think it's necessary. The arguments only need to be brought up, calmly, and some have already been put up on the table after coming up in this thread. It's a lot easier for the playerbase if we start heavy with a system and loosen up a bit, if needed, rather than to crack down and make a system more strict. This was also a team decision. This wasn't just something one GM came up with spur of the moment. We all contributed to this and agreed it was a good idea. No one person should be taking the blame for this, if blame needs to be passed out. It might not be people's favorite thing, but we feel it's a necessary step. There's been too much vagueness about what noble houses can and can't do, and the resources they can call on. This is far from the end of the world. You're not required to drop everything and submit an application in fear of getting your characters locked. There isn't any particular rush on collecting your thoughts on what your house can do, how it came to be, or how it gets its money. Those, however, are things we feel need to be thought about, sooner or later. Writing it down where people can see it isn't changing anything (or, at least, it shouldn't be; if you have to change what you've been doing with your house in order to post it in public, that's another problem altogether, and part of why this is being introduced). We're also not saying noble houses can't go about criminal activities. We're not saying you all have to be perfect angels who all obey the rules. We're saying that, if you choose to do those sorts of illegal things, it actually has consequences now if you are caught and your activities are proven. No one said that if you commit a crime you instantly lose your nobility, no ifs ands or buts. You'll have to cover your tracks now ICly, instead of being able (to use the aforementioned example) to brag about it in public and suffer no consequences. A player simply reporting OOCly "hey house X did this crime!" does not mean that house X is instantly found guilty. It means we'll be approaching house X about that issue, if the crime is reported ICly, and working something out. Are investigators going to come by to chat? How will the house handle these allegations? You are playing a character in the public spotlight by being a higher citizen. There are drawbacks that come with the benefits. Honestly, as a side note? We'd like to do more RP with crime in general, if people would like to work with us. We're rarely given the opportunity for more than "halp I need a GM to puppet a guard someone's fighting." It's not so much fun to play a criminal without the threat of the LAAAAAAWW coming down on you. We also have the "guards are OP" rule as a safeguard for public places; they can stop fights, they can stop people from attacking others where they shouldn't, and they can stop activities that shouldn't be happening. However, we've frequently said that, if people want to do some sort of crime-guard interaction, we'd like a heads-up in advance. You're not automatically caught or unable to fight back if you commit a crime. So, yes. There we have it. To reiterate; we're people too. We have feelings. We're not out to get you, specifically, and your RP. We make mistakes. We make decisions that not everyone will be pleased with. We are also willing to change things if the arguments are presented. I like crime rp. I also like groups being held accountable for what they do. I know a lot of other people do as well. I like the idea. Push forward with it! Shamelessly just made in Paint. Quick thought I had while I was in the shower! Orcs Trolls and Tauren have clans. Why not do something similar to this for clans as well. Just an idea! Now to work. (12-19-2013, 09:08 AM)Kage Wrote: Quick thought I had while I was in the shower! Because then we are treading water with doing that with every guild/player faction, which is one of the qualms I had with us doing this with noble houses in the first place. Once we start saying "Well, why don't we do this with it too, this is just like that! ", then we start to realize that... well, Noble families are like the other guilds too. That's when instances like Canibal Night Elves start to make all other night elf guilds look bad, so we have to police all guilds by getting them approved. I'll admit, I'm still not 100% happy with how we have to get everything approved with noble houses because the few have ruined it for the many, because I think there could have been better ways of handling it, like Delta had stated. Has it gotten to a point where we can't say to people "You're doing it wrong. No. Bad. Stop. ", and have to monitor it by making -another- thing on CoTH we have to get approved? Because if it's about making nobles harder to get... then it should be something that has to do with profiles, I'd think, instead of applying for a whole -faction-. I'm just not fond of this being retroactive either. It feels like, in the case of us that have been playing our noble houses for a long while and have had the enjoyable RP, or that have established something over a long period of time... that we are suddenly being told "Nope, we don't like it!". So, it feels like we are being micro-managed, and by people that aren't often involved in our RP. So, while I get what you are saying, everyone. I get that this was a group descision by the GM's (That's never a question, we all know that.)... it's not one that I agree with. And honestly, feels like it has little input from players -OF- nobles. Or at least those that haven't been riding slaves naked across the streets while cackling about how evil they are. Allow me to put in my two copper, if I may. First and foremost I think it would be wise if we all, once again, take a step back and take a deep breath. We're not saying anyone's been ruining it for the rest. We're not looking to make this worse for anyone else. On the contrary this update, as with all, are done with the interest of making RP better for all included on CotH. This application allows noble guilds to be more fleshed out. As you look to the application you can now see what you can physically brag over. Mansions? Piles of gold? Fleets of servants? This lets you have an approved claim to that without worrying if you're taking it too far. As well this helps flesh out not only history but the present as well by giving your house a claim to it's profits and rights to continue expanding. For those asking, the main reason we've put this application up is because noble houses get so much more power than other regular guilds. Noble houses have wealth, status, binders full of women! This is just a form to fill out so that we know exactly what you're trying to lay claim on. Hope this has cleared it up a bit. Or it might've just been more confusing. Who knows. I put some thoughts in a private discussion. I mean---I get what you're saying, but at the same time the reason as to "why" this was being done came off as conflicting, because I'd heard that the reason for this was because of people actively walking around town claiming about slaves as well as hiding behind noble status. It's appreciated that we can have bragging rights, buuut it also feels like a miniscule reward compared to the work now involved with making nobles. So, I condensed my ideas down into a private discussion. I hope that my ideas help in some way, because I understand the need for this, but at the same time think there could be easier ways to handle it for everyone, that'll accomplish the goal. Because, if this was just about us organizing our assets and seeing what we could brag about... it wouldn't be mandatory. This is for all intents and purposes a way to monitor the goings on of a noble house---which is fine, but could be handled differently. You loved Bolshe and his clan of cannibal fem elves. (12-19-2013, 12:11 PM)Cressy Wrote: Don't lie Rensin. Haha. I just disagree with people. That's all. It's really not that big of a deal, just like I keep saying, I think this could be handled differently. Taking it to this conclusion because I or others don't agree with this policy is kinda funny, because it's like.. people are blowing it out of context by expecting us to blow it out of context. No need for any "abandon_thread.gif" files here. Discussion is still simple, and so long as people keep suggesting ideas/revisions in a cool manner, everything is just fine. But seriously, I do like the idea of showing off what you have when it comes to noble houses, but I believe it could have been done better. I am not the best at makin' policies but I think it is a bit flawed. I believe it should be done on a profile rather then where it is. But bah, I don't know half of what I am talking about sometimes. I'll point up to Krilari's post in regards to how this will help nobles, for starters. Quote: Has it gotten to a point where we can't say to people "You're doing it wrong. No. Bad. Stop. ", and have to monitor it by making -another- thing on CoTH we have to get approved? It's not that easy, and I'm certain everyone's aware of it. We can't see what everyone's doing at all times with their RP, though, noble or otherwise, is the problem. We'd have to actively do the monitoring that everyone is so afraid of, and watch, invisibly, as people RP. No one wants to do that, and no one wants us to do that. Quote: It feels like, in the case of us that have been playing our noble houses for a long while and have had the enjoyable RP, or that have established something over a long period of time... that we are suddenly being told "Nope, we don't like it!". So, it feels like we are being micro-managed, and by people that aren't often involved in our RP. 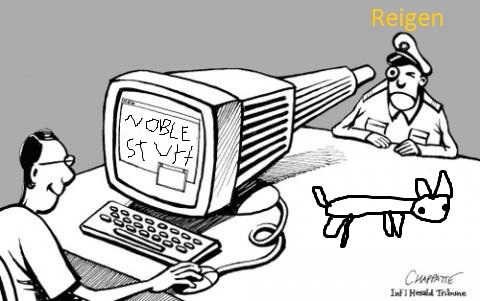 I think it's important to remind everyone, again, that we're not taking your nobles away. No one has had their nobility removed. And, honestly, we can't be involved in everyone's RP, nor would you actually want us to be. That's hardly a fair thing to say in regards to policy changes. Every change affects someone, and just because GMs don't RP with every single character that gets affected by the change doesn't mean we take it less seriously, or anything like that. Quote: then it should be something that has to do with profiles, I'd think, instead of applying for a whole -faction-. This is a profile. Just a slightly different kind of one than people are used to. What we're asking for is information on how their house operates and came to be. It's a profile for the house, in addition to the character. No one complains when we ask people to think about their characters (since we have profiles for them), but few people put the same amount of thought into how their house operates, its history, its income, its resources. Things that we feel are important, and should be as thought about as the character that comes from it. Is this going to make noble houses spring up less often, now that you have to consider more than before? Probably. Is this necessarily a bad thing? No. See, here's the contradiction, though; we haven't been able to monitor anything after the profile process, far more often than not, on nobles. Making the profile stricter isn't going to police what happens afterward, and the response to further close 'monitoring' by GMs has been met with understandably negative feedback. Quote: And honestly, feels like it has little input from players -OF- nobles. As I've mentioned a few times now, among others, post ideas and suggestions here if you have them. I know you posted a PD, but all I have seen otherwise, with a few notable exceptions, is people saying that they don't like how it was handled. They don't like what was posted. We can't improve it, however, just on that. Make suggestions. Here is the chance; we know stuff isn't perfect. We try our best, but we only have so many different points of view on the team. It's like a beta release; you can only test so many things as a company yourself, before you open it up to the public. Obviously we can't go for anything and everything, but if reasonable topics are brought up, we'll certainly consider and make adjustments. 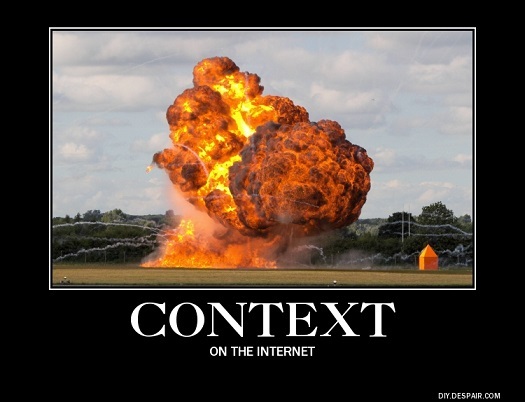 Quote: it's like.. people are blowing it out of context by expecting us to blow it out of context. It's been blown waaaay out of proportion already, though not in this thread. I apologize if I sounded like I was referring to the posts in this thread. That wasn't my intention! Quote: I'd heard that the reason for this was because of people actively walking around town claiming about slaves as well as hiding behind noble status. There is almost never a singular reason or happening for why something gets changed. Thank you for the feedback thus far, though; discussing it with us is faaar preferable to "meh I don't like this but I don't think I can make a difference so I won't say anything."